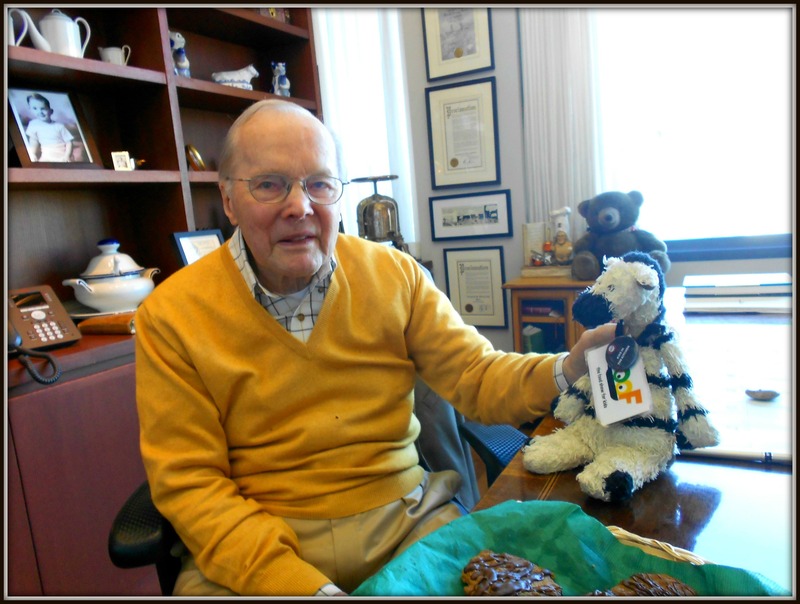 ← Chuck Williams Teaches a Zebra ZeWay to Cook! George Washington was more than a person with great ideas—he put them into action. At Mount Vernon, Washington’s famous Virginia estate, he raised over 60 different crops at his five nearby farms, including corn, oats, rye and other grains that would help feed America’s growing population. He was very interested in learning about the latest agricultural techniques, then making them part of his farming operations. 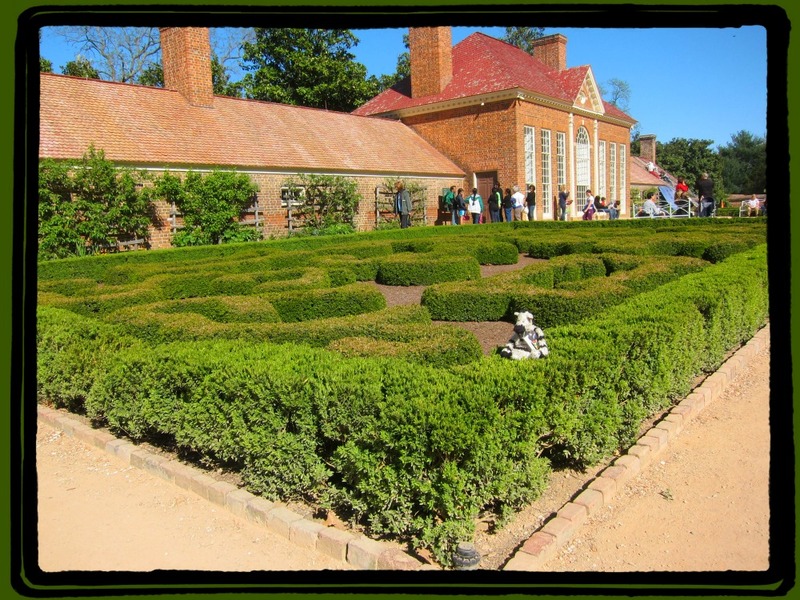 Washington experimented with all kinds of different crops, fertilizers and farming methods. Crop rotation is great for crops — and helps nourish the soil. 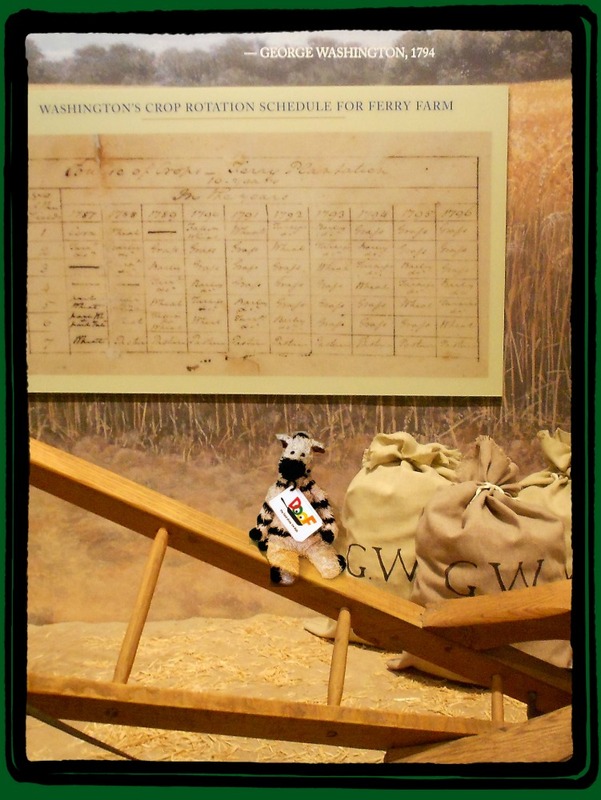 One of Washington’s favorite techniques was using scientifically monitored crop rotations. Basically, this means switching out the plants you grow on a particular piece of land, so the soil can have a chance to rest and replenish itself. Washington was also really intrigued by the improving plow designs and in breeding mules (because he thought they’d be better than horses for agricultural work). 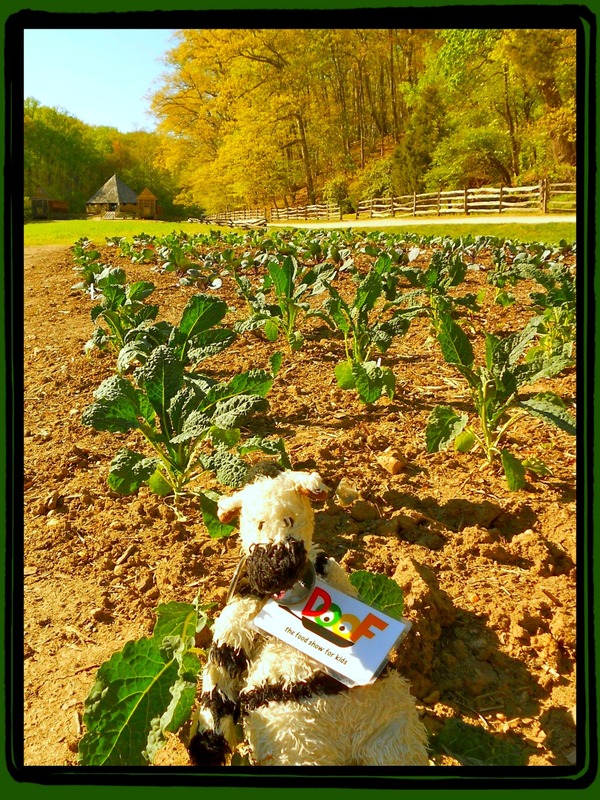 In addition to growing crops, Washington raised sheep, cattle, hogs and horses on his land. Plowing is a tough job, but if horses can do it, I’m hoping zebras can, too! George Washington liked having animals as friends, too. There were always dogs at Mount Vernon—and he even created a special deer park to entertain his family and guests. 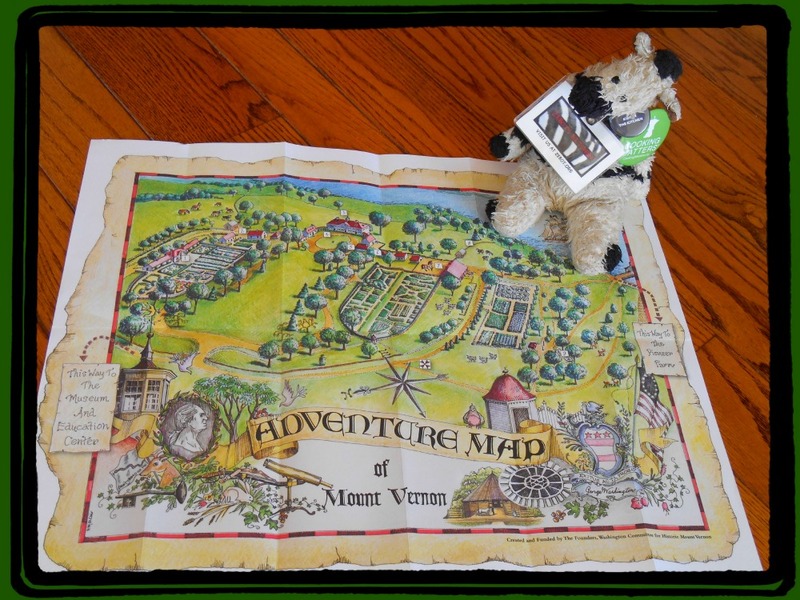 It turns out that a camel visited Mount Vernon back in 1787, but as far as I can tell: I am the very first zebra! I feel like one of ZeWorld’s Greatest Explorers! 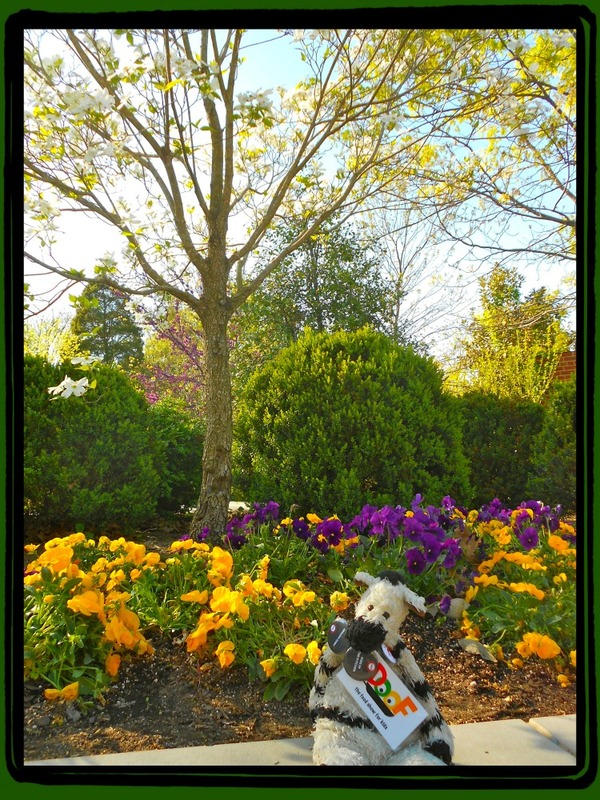 As a grazing animal by nature, I was amazed when I hoofed it through the gates of Mount Vernon and found myself wandering around paradise in full bloom. Of course, I knew that a president would have a really cool house—but it turns out that gardens, fields, orchards and forests are every bit as important as the buildings. 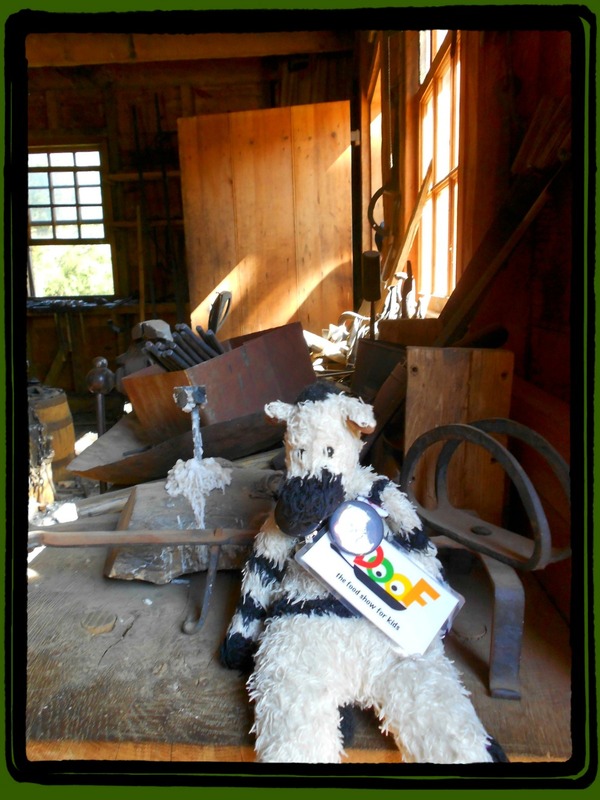 The blacksmith’s shop was where Mount Vernon’s metalworkers made farming tools and horseshoes. The kitchen garden was the first one George Washington created at Mount Vernon back in 1760. This is exactly what just about every practical 18th century person did, because back then, homes outside the city always had a garden to help feed the family. 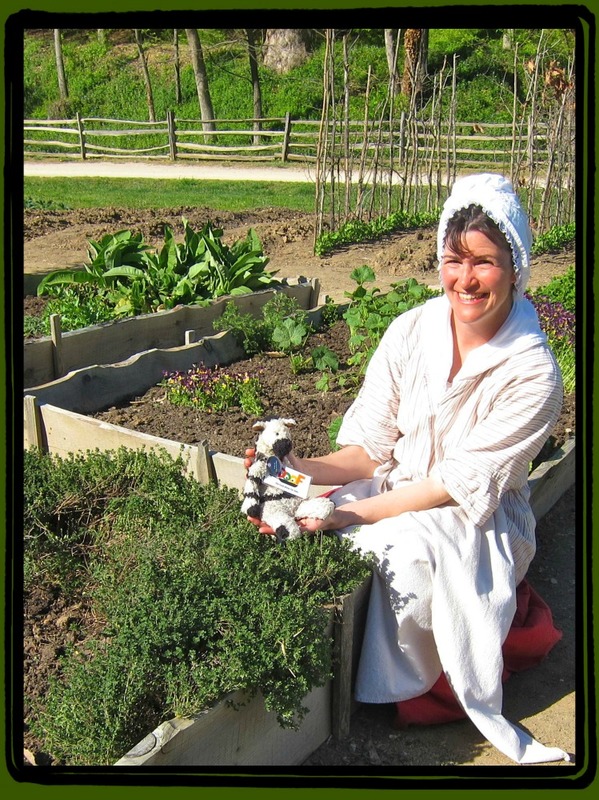 Washington’s wife Martha wrote that vegetables “were the best part of living in the country.” And during the Revolutionary War, General George Washington encouraged his troops to eat vegetables—and to plant them whenever they had enough time. Just being in Mount Vernon’s garden made me feel like I was growing, too! At Mount Vernon, George and Martha Washington relied on their garden to provide all kinds of naturally delicious foods for great meals with their family, friends and other important visitors. Their kitchen garden was big — it could produce enough fresh, healthy food to feed about 18 people. 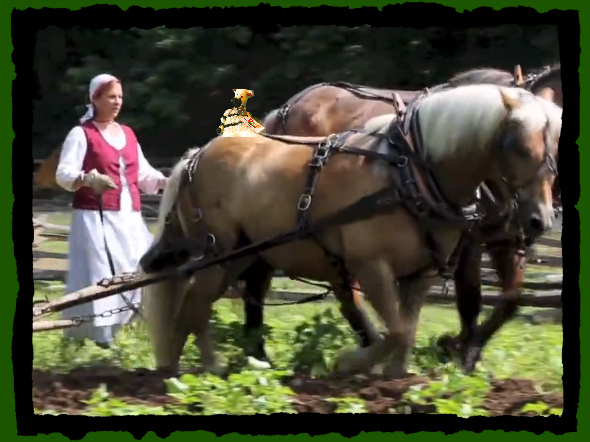 But since the Washingtons sometimes hosted meals for hundreds of people, they grew fruits or vegetables in just about every garden on the whole enormous property. At Mount Vernon, the gardens nourish your body, mind and spirit! As you can imagine, George and Martha Washington were super-smart about the way they planted things. Because Mount Vernon was a very important estate, the Washingtons needed to have a pleasure garden—an ornamental outdoor space where guests could feast their eyes on a colorful kaleidoscope of growing things. In an ornamental garden, savoring colors is a pleasure all its own! And you know what? He ended up making the garden even more pleasurable by planting gorgeous flowers in borders that surrounded happily thriving vegetable beds. George Washington wanted to make sure that all plants and trees had their very own place. This was especially important because everyone from foreign leaders to just everyday people sent him seeds, bulbs and cuttings from all over the world. Don’t you love a farmer (or president) who would give his plants a beautiful house like this? You probably won’t be surprised to find out that Washington even had a greenhouse, which was a pretty rare thing back in those days. The greenhouse kept tropical plants warm in the winter and provided a great home for all sorts of special plants. In the spring, the gardeners moved the plants outside into the upper garden, so guests could admire them. Hurray for the bright, tangy flavors of fresh oranges – and the groves & greenhouses that help them grow! What about the kitchen gardens? Well, they were every bit as ingenious as everything else at Mount Vernon. 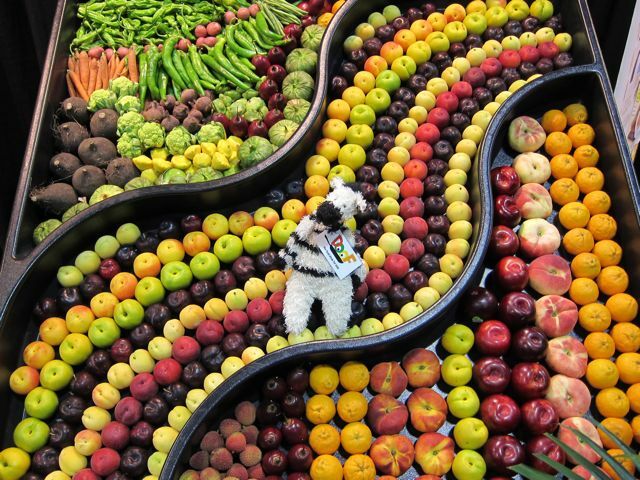 What a perfect place to grow vegetables, ideas…and imagination! Around the edges of the walled garden, there were espaliered (this means “tied-up-on-trellises”) fruit trees for growing apricots, nectarines, peaches and cherries. These needed the warmth of the wall to survive the cold winters. Apple and pear trees were planted on the interior of the garden—and they helped protect the vegetables at the very center. Just like in the newly blossoming United States of America, George Washington emphasized the importance of everyone (including plants) working together and helping one another. At Mount Vernon, Martha always kept in close touch with the gardeners to make sure that everything was growing just the way it should. And her efforts really paid off: the elegant meals she hosted were famous for featuring a fabulous bounty of colorful fresh vegetables and fruits. One of the best things about gardens is eating the foods you’ve grown! All this talk of historical gardens is making me super-hungry – and I’m hoping you’re feeling the same way! 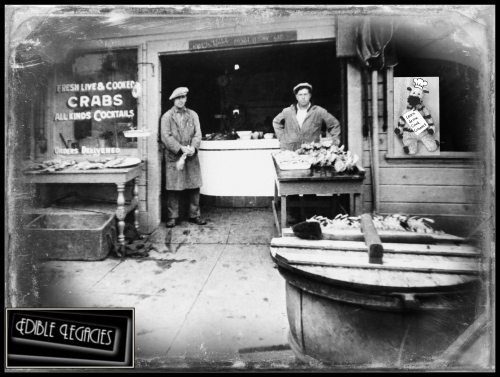 Thanks to my explorations of Mount Vernon, one of my new all-American favorites is to make a big batch of steamed or roasted vegetables – from bright green spears of asparagus and vibrant orange carrot coins to fancy scarlet beets and creamy white cauliflower. I got it from a recipe card at Mount Vernon – and just the way George Washington shared his great ideas, I’m sharing it with you! To really appreciate this vinaigrette, it’s important to see it, smell it AND taste it! This recipe was originally created to be served over baked sturgeon (a kind of fish). If you have a sturgeon in your kitchen, this is a great idea! 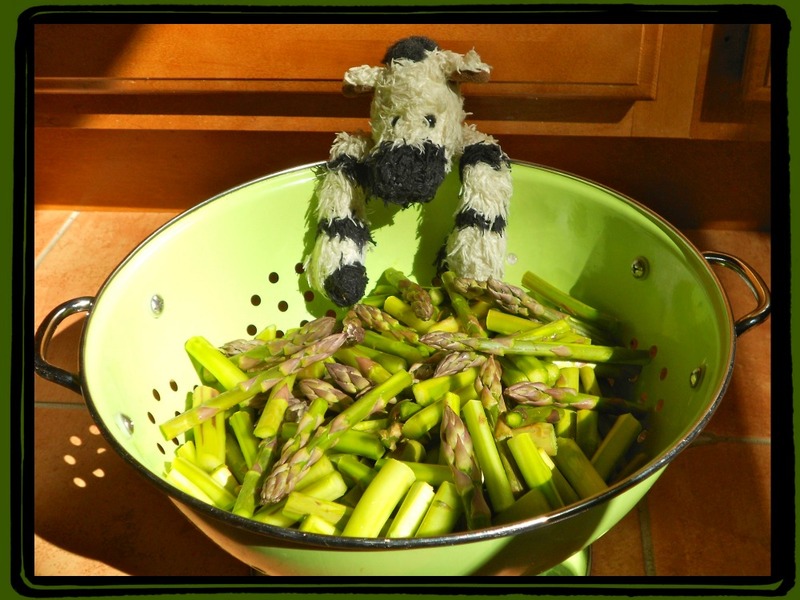 However, being a zebra who is very fond of garden-fresh everything, I’ve added a bit of olive oil to the recipe so I can use the vinaigrette on my favorite roasted or steamed vegetables. 1. Squeeze the oranges into a medium-sized bowl. 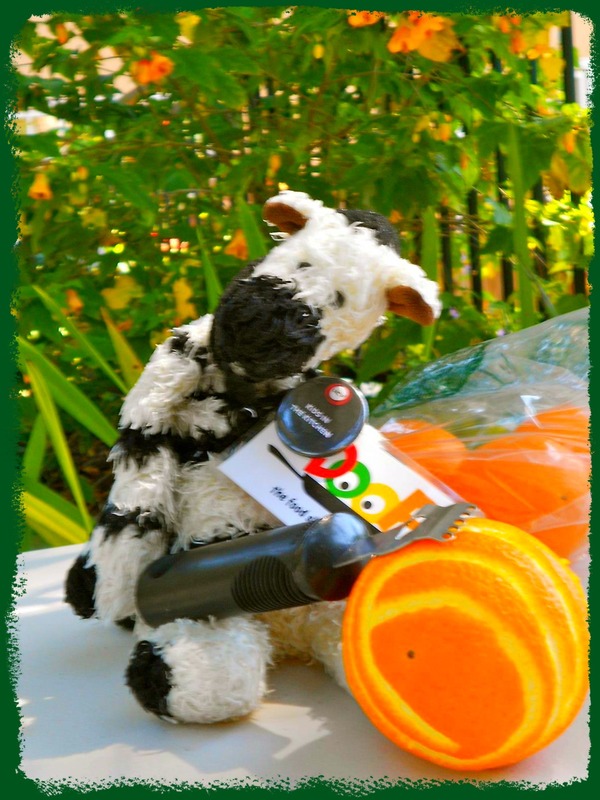 It really helps to use a tool called a citrus reamer, but if you don’t have one, just squeeze the orange halves with clean hands (or hooves). 2. 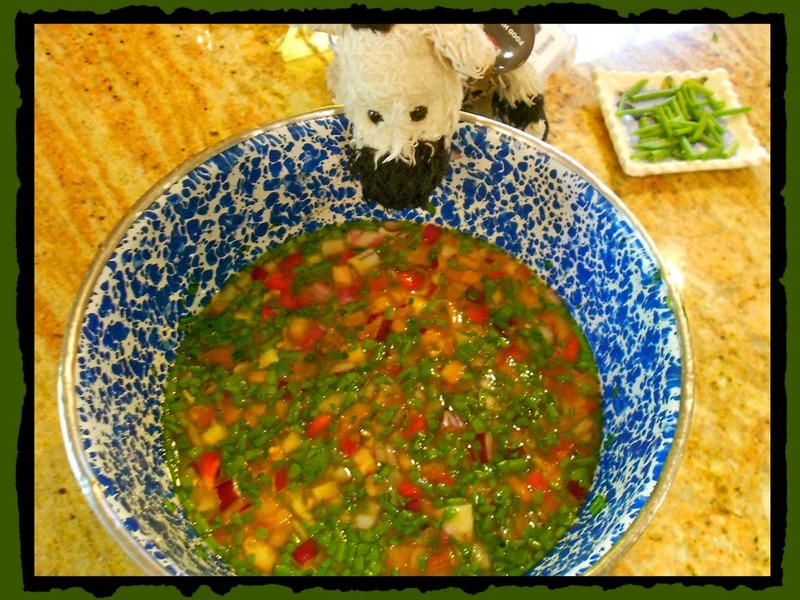 Add the vinegar and oil, then add the chopped onions, herbs (that means the parsley and both chopped up kinds of chives), tomatoes and peppers. 3. Stir all the ingredients until everything looks happy to be together. 5. Drizzle the vinaigrette over cooked veggies (you decide how they’re cooked) – or try it on your favorite salads. 6. Eat happily ever after! 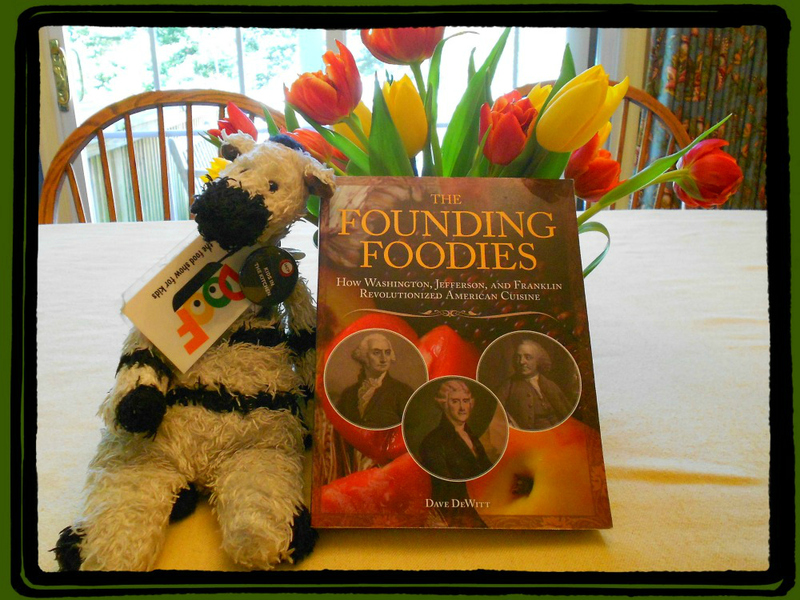 Posted on April 14, 2017 by ZeBot Zebra	• This entry was posted in ZeAdventures, ZeRecipes and tagged adventure, agriculture, colonial, creativity, culinary history, farmer, farming, fun, gardener, gardens, George Washington, healthy, ideas, innovation, kids' cooking, kitchen wisdom, Martha Washington, Mount Vernon, recipe, sustainable, ZeBot, zebras. Bookmark the permalink. 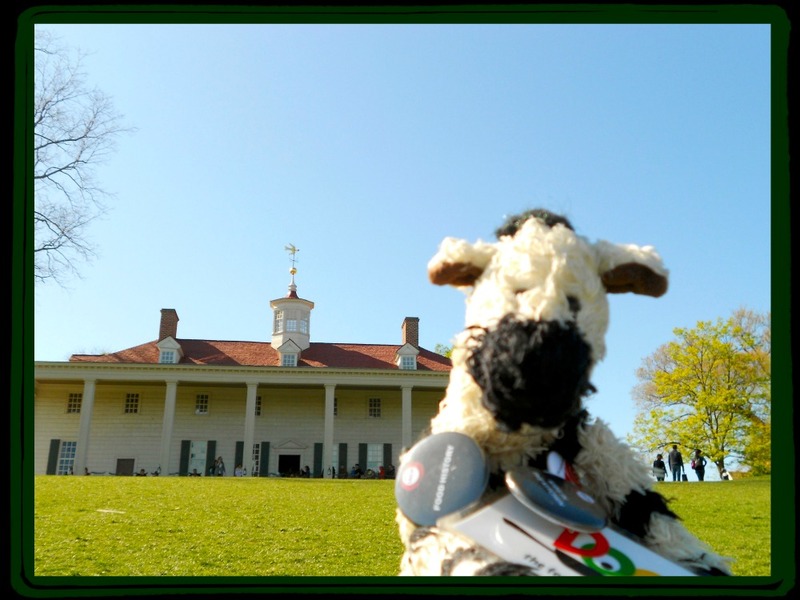 Mount Vernon is one of my favorite places to visit. And I must say, I’ve never read a story about it quite like yours, ZeBot. Bravo! Well, you’ve probably never read a story written by a zebra before, Oli. I’m so glad you like this one! The way you write for kids is brilliant, ZeBot. You talk to them like smart little humans, which of course, they are! Great job! Zebras are taught that the best way to talk to ANYONE is to address their humanity first: and talk to them like the smart, curious humans we know they are. Thanks for the compliment, Kate! 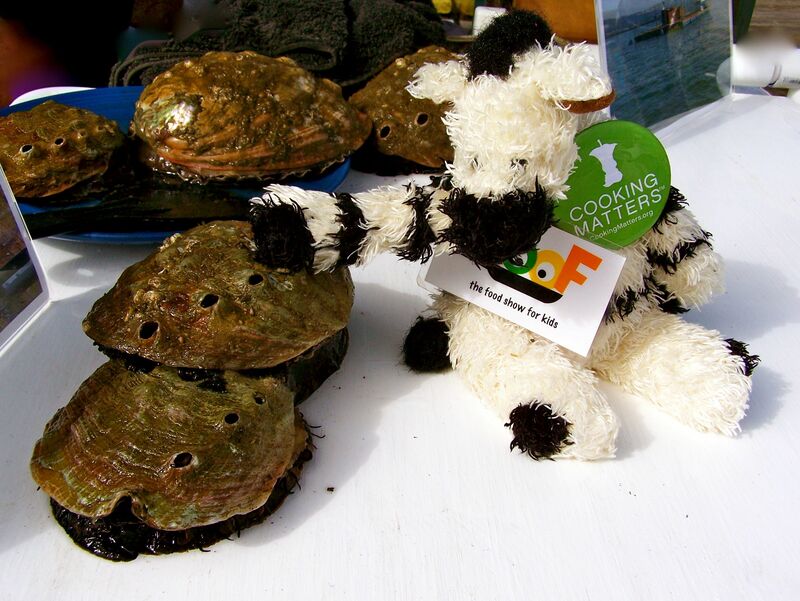 I love learning about the world — and sharing my adventures with friends. Thanks so much for joining in the fun, Leslie! Hurray: that’s the whole reason zebras write stories — to make people happy. Thanks so much, Catherine! What a fascinating trip and I’m glad you spent so much time in the garden and gathering all that information for us. It looks like a beautiful and very inspirational garden. I do love learning and discovering the Zebot way! Thanks for sharing! You are quite an adventurer ZeBot! 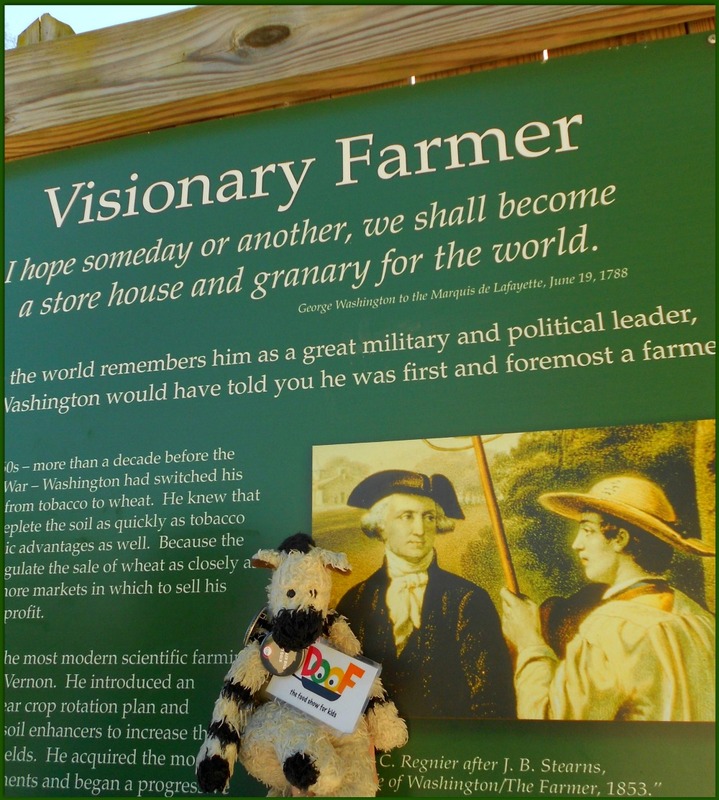 I loved learning more about George Washington and his love of farming. I am also a horticulturist and love growing plants and eating them too. Mount Vernon is not too far from where I live. I will have to go and check it out this spring. Thank you so much for sharing your adventures with so many. 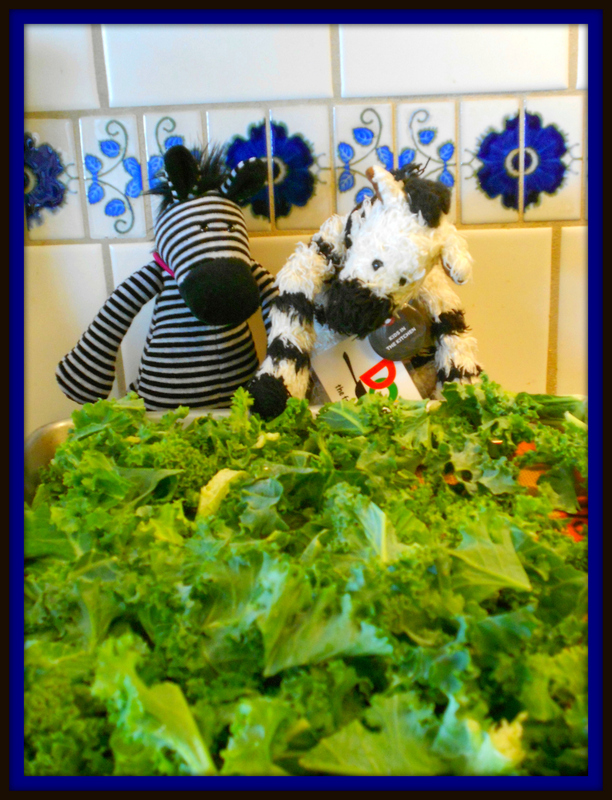 Sharing adventures is one of the things zebras love best, Bonnie — I’m so happy you had fun with this one! 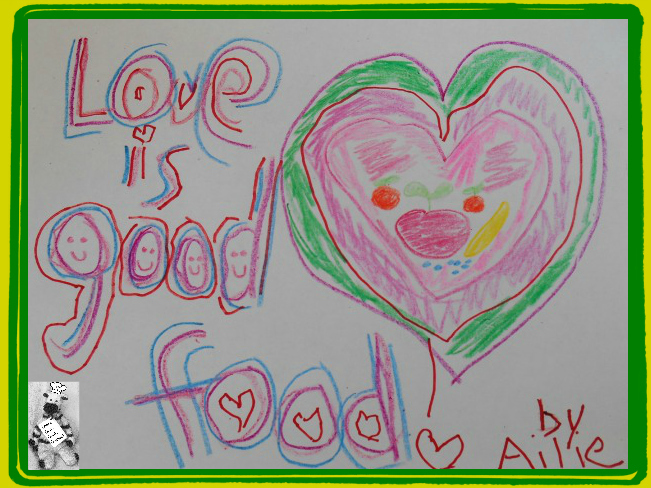 I want to learn all about growing, cooking and eating plants: I’m looking forward to learning all about it from you!